Today we observe the 235th birthday of the U S Marine Corps. 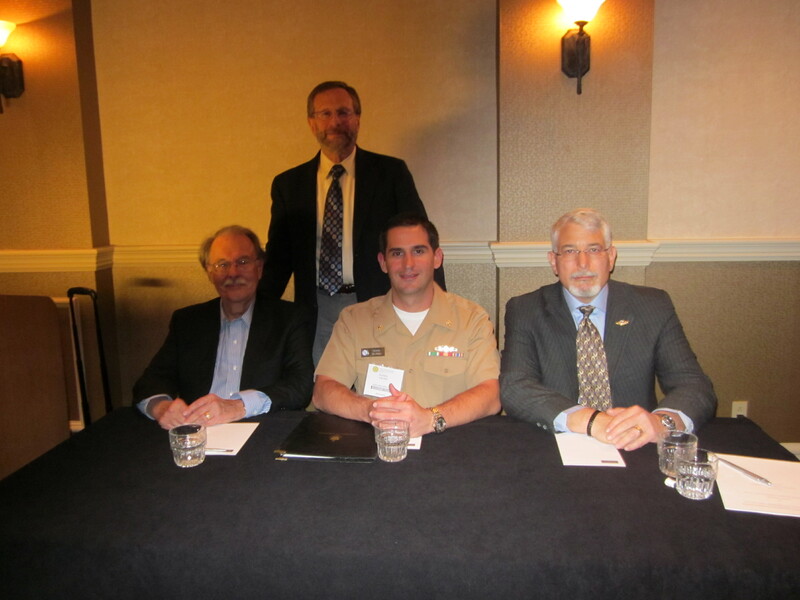 At the Society’s Fourth Annual Meeting last week, Steve Oreck, a retired U S Navy medical officer who worked most of his career with Marines , gave a reprise of his recently completed Master’s degree thesis. His topic: The Development of Medical Doctrine for Amphibious Warfare by the United States Marine Corps and the United States Navy, 1920-1939. In his paper, Captain Oreck points out that the main impetus for developing this doctrine was an appreciation by planners looking at Operation Orange (the war plans for conflict with Japan) that taking or retaking Pacific islands would require a renewed emphasis upon amphibious warfare. The only prior 20th century amphibious operations available for study were the British-French experience at Gallipoli, and some small German amphibious assaults of Baltic islands, both in World War I. In both these operations, but especially the Gallipoli campaign, coordination of medical care between combat units ashore and naval units at sea was non-existent, resulting in “medical disaster”. Some US planners saw this problem, and realized that medical contingencies must be attended to. Given that the Navy assigns its medical personnel to support the Marines, line Marine officers quite naturally assumed that planning for the care of Marine casualties was a “Navy problem”. In the 1920s and ’30s, the Bureau of Medicine and Surgery put no special emphasis on the problem of medical support of Marine amphibious operations. And so the problem was left a few dedicated officers. Almost simultaneously in 1923-24, Major S N Raynor, USMC, and Lieutenant Commander William L Mann, MC, USN, published a series of articles looking at the matter of medical support for Marine operations in the United States Navy Medical Bulletin. Interestingly, at this early date, neither author mentioned amphibious operations. Throughout the rest of the ’20s, planning officers made rudimentary medical plans, but these really did not look at medical support unique to amphibious operations in any comprehensive way. It was only with the advent of amphibious exercises in the mid-’30s that the need for adequate training of medical personnel at all levels, and for medical equipment especially designed for amphibious operations (e.g., water-proof, light weight or capable of breakdown to man-portable size) became apparent; these problems found their way into after-action reports–repeatedly. Medical officers still struggled with a lack tasking either from the Commandant of the Marine Corps or from BuMed. Finally, in 1937, the Navy established a review board to look at medical equipment for Marine operations, and in 1938, promulgated Fleet Training Publication 167 (FTP-167), “Landing Operations Doctrine”. This document, with fairly sparse medical chapters, was the operative doctrine at the outset of World War II. It contained several key elements of medical planning for amphibious operations, but failed to define responsibilities for key surgeons on the amphibious team. Fortunately, a small team of dedicated medical officers, many with combat experience with Marines in Nicaragua and elsewhere, were given pretty much free rein to work out the doctrine that carried us into the war. According to Captain Oreck, even with changes made as a result of the huge World War II experience, today’s medical amphibious doctrine would still be recognized by the pioneers who developed the doctrine nearly 80 years ago–a doctrine responsible for saving Marines’ lives.